A.M.UK Security install and maintain Veritas alarms all across Norfolk. The Texecom Veritas alarm is fitted into hundreds of homes across Norfolk and are used by many companies. We Are Texecom Registered Engineers with over 25 Years experience in the security industry and fully Approved by the SSAIB so you know your in safe hands. 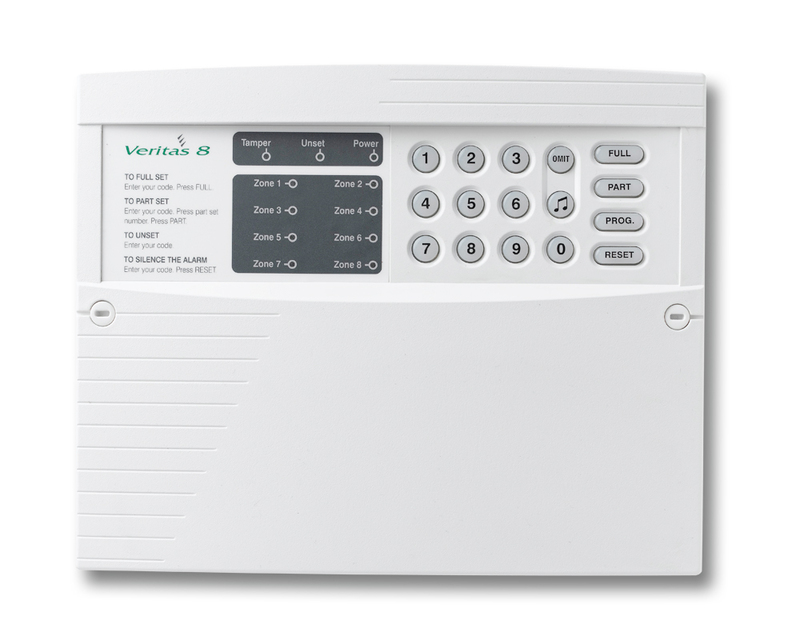 Veritas alarms are made by Texecom, which are ‘Europe’s largest independent security alarm specialist’. and sells it products around the world. 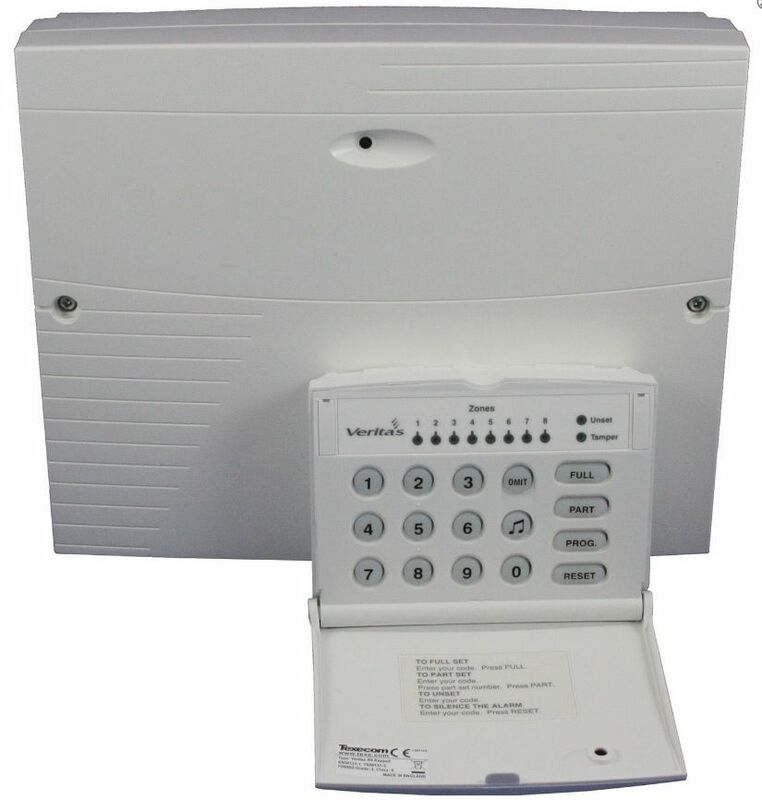 The Texecom Veritas range of intruder alarm control panels are designed for domestic and light commercial use and it complies with the British standards PD6662:2017 as a Grade 1 Class II system. Maybe you already have an existing home or business alarm system or you are looking for a new installation, A.M. UK Security can provide you with the following services. A.M. UK Security can install the very latest in alarm technology to protect your home or business from intruders and fire. We can help you choose the system that is best to protect your home or business. We install both wired and wireless alarms. Wireless alarms are good when it would be inconvenient to run new cables in. Both wired and wireless alarms can have smoke detectors added and can be monitored if required. Our premier alarms can use codes and also have key fobs or tags to arm and disarm the system. We service all types of wired and wireless alarms. When you have your alarm serviced by us it gives you piece of mind that your intruder alarm system is in top working order. Becoming a maintained customer couldn’t be easier. All you are required to do is have your alarm serviced by us on a yearly basis. Being a maintained customer gives you discounted pricing, 24 hour call out and we guarantee to be on site within 4 hours. SSAIB certification means that you can be confident in the quality of service provided to protect your Homes & business from the potentially devastating consequences of fire or crime. Increasingly insurers require evidence that all reasonable steps have been taken to mitigate risk and ensure the safety of personnel and assets within the workplace. SSAIB certificated providers will meet or exceed your insurer’s requirements. If you already have an alarm system and the unexpected happens, such as damaged cabling we can provide a repair service. We can also provide you with alarm monitoring services for fire, intruder and panic alarm. So if you have the system monitored in the event of the fire, intruder or panic, you and the relevant emergency services will be notified. Both wired and wireless systems can be monitored. Maybe you are looking to upgrade your current alarm by changing detectors for new dual technology ones or you are wanting to add more detection to your property, such as a new extension, we can help. If you choose to have us take-over the maintenance of your alarm one of our friendly engineers will fully test the system, check you are happy with the way it is setup, advise you if there is any way the system could be improved and add our company logo’s to the outside bell to show that the system is being maintained by a reputable alarm company. “Alarm systems are a worthwhile investment in the protection of your home and family. Studies reveal that it is far less likely that you will become the victim of a burglary at home if you have a correctly fitted and well maintained burglar alarm.” This Quote was taken from the Metropolitan Police website. Texecom, Honeywell, Daitem, Menvier, Bosch… Just to name a few. A.M.UK Security Ltd, All Rights Reserved.